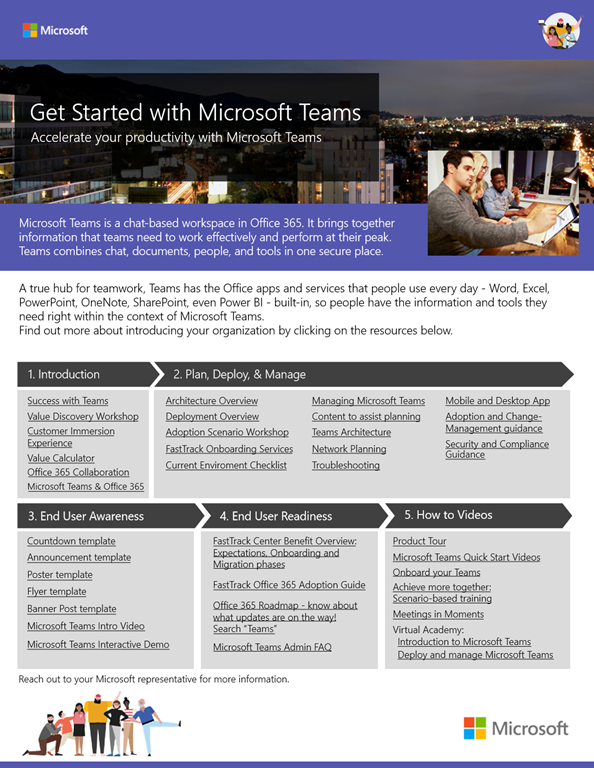 Looking to get started with Microsoft Teams? Here’s a resource guide that I hand out to my customers that includes links to help ‘jumpstart’ Teams deployments. Note: On the second page, the guide discusses various use cases for Teams, such as best practices for use within Sales, Marketing, Project Management, Engineering, Customer Support, etc. If you are a managed customer of mine, reach out to me & I will share the documentation for each of these work scenarios.